At Deloitte we have gone on record in stating our belief that technology is no longer just a business support. Designed and delivered well, IT brings growth, profit and competitive advantage. In our ninth annual Tech Trends report we recognised the factors that are likely to disrupt businesses in the next 18-24 months. These trends have an underlying theme that technically driven growth, profit and competitive advantage will increasingly be mediated through a modernised infrastructure and architecture stack. A core part of that modernised approach is the increasing use of outsourcing to ensure critical internal focus is applied to core organisational competencies. Without this focus, the scale, rate and diversity of change across industries and the globe will become a significant threat to organisational sustainability. Yet at the same time, Gartner has identified a key risk that is inherent to perhaps the oldest information and communications technology outsourced service upon which we all rely. They have observed that a “staggering 80% of telecom bills include hidden charges or incorrect billing”. Further, it has been estimated that 80% of those inaccuracies do not fall in the client’s favour. Repeat only a proportion of these issues across the increasingly outsourced services stack that falls under the typical CIO’s control and the promise of IT delivered growth, profit and competitive advantage can be significantly blunted. 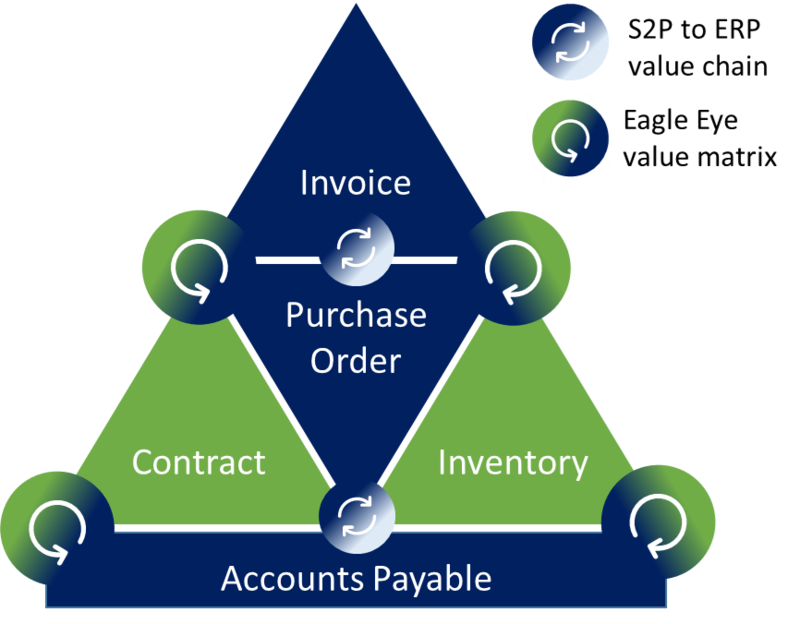 Eagle Eye targets contract adherence where contracts are complex and involve high volume inventory, be that inventory physical or service assets. 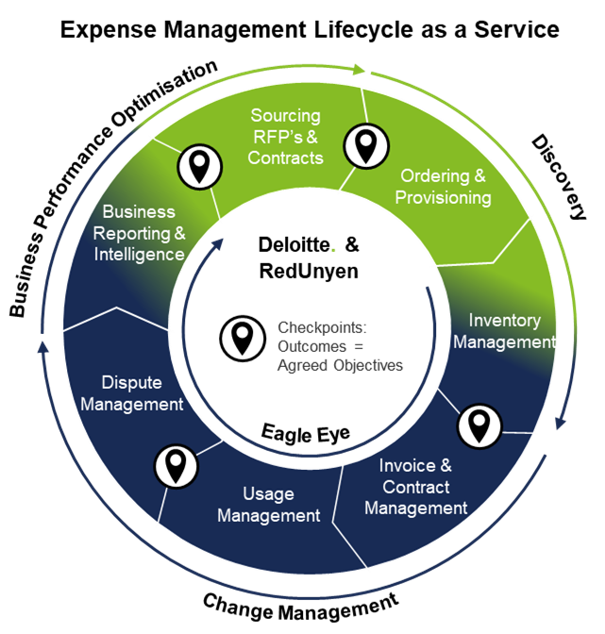 The result of this targeted approach is that Eagle Eye complements the linear procurement performance and spend analysis value of the Source to Pay – Enterprise Resource Planning axis with its multi-dimensional contract adherence and granular intelligence value. In these complex and high volume situations Eagle Eye mitigates the issue of lost value secondary to the general assumptions that catalogue to contract and inventory to contract are presumed correct. The result of this focus is that Eagle Eye has realised in practice the reduction in expenditure suggested to be achievable deploying telecommunications expense management software – 15% to 30% of outsourced spend.